Unfortunately for Milan, the actual spectators don’t care to watch Daniele Bonera concede goals for Milan. Nor do they particularly care to watch Sulley “The Killer” Muntari weave his magical tapestry of losing the ball, fouling like a Quentin Tarantino movie, and getting carded, with the only suspense being which color card the ref will produce this time. We’ve been there, we’ve done that. Two of Allegri’s favorite players have somehow become staples yet again in Inzaghi’s side, and the fans are not impressed. As soon as the lineups were announced, fans on the interwebs immediately raised a collective and painful voice against these two being included in the starting 11. And they didn’t disappoint. 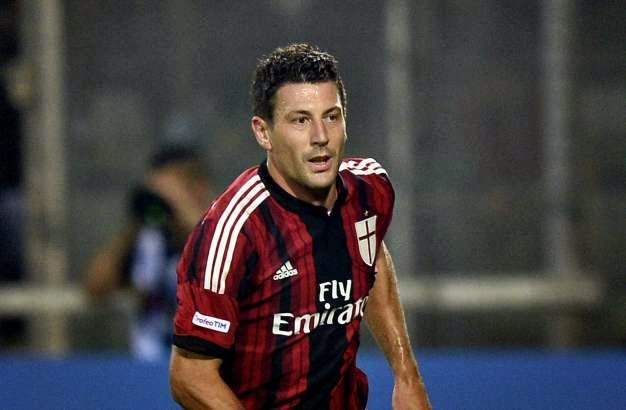 Bonera has three go-to maneuvers: planting his feet and standing still when an opponent is on attack, playing the ball with his hand, and passing the ball back to Abbiati. And in the third minute, he did the latter. To be fair, in the 23rd, he did successfully stop a ball by falling to the ground when shoved, so he did do something useful, even if it wasn't his doing. "Lookout, Torres, he's right behind you. Some of his anti-talent might get on you!" Meanwhile, Muntari earned a card in the 36th for a nasty foul on former Milan youth player Simone Verdi. Not to keep you in suspense, the card was… yellow. He followed that up by kicking the ball into the face of an opponent not 3 minutes later. Plus many other fouls, some called, some not, including another nasty one in stoppage time of the first half. Luckily for all of the Empoli players, Inzaghi subbed him at halftime for Poli… probably just to make sure he can start him again on the weekend. Don’t want to risk those red cards with Sulley. But back to Bonera, in the 13th minute, he personally kept the Milan tradition alive of not defending set pieces by leaving Tonelli unmarked in the box on a corner kick. 1-0 Empoli. His generosity knows no bounds, nor does his delayed response, and in a late attempt to reach Tonelli, he managed to fall to ground as the ball went into the back of the net. Not like a spoiled child who doesn’t get their way or like a Barcelona player, just good old fashioned clumsiness. Just eight minutes later, he repeated the performance, this time failing to mark Pucciarelli in the box on an Empoli free kick. Falling to the ground and all. 2-0 Empoli. The only one who seemed to fight the Bonera was Vecino, who accidentally kicked him in the head in the 42nd and earned a yellow for dangerous play. But since Milan only risked losing for the next 70 minutes, and not losing their “star” defender, he was allowed to terrorize Milan fans for the entire match. 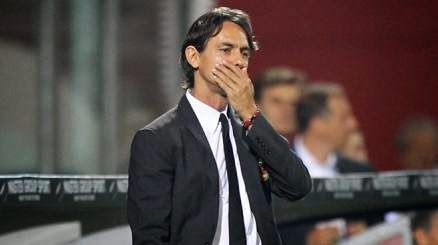 Including handling the ball in the box in stoppage time of the first half, for which Calvarese must have pitied him and not given Empoli the penalty. I’m assuming that this is what Empoli coach Sarri was complaining about to the ref at halftime when he was ejected. Bonera’s influence even goes beyond the pitch. As for the rest of the team, going down two goals by 21 minutes made them frantic. So instead of just grinta, they mixed in a lot of frustration, as evidenced by our 21 fouls (and those were just the ones that were called.) In addition to Muntari’s token yellow, Zapata earned his yellow in the 20th, the resulting free kick of course was the opportunity Bonera used to allow Empoli to score their second goal. Although to be fair, Zapata was a beast the rest of the night, kind of like the anti-Bonera, only not able to negate the goals. De Sciglio also earned himself a yellow for a foul on Pucciarelli in the 50th. Granted, no one could beat Valdifiori’s yellow performance, earning back to back yellows just one minute apart in the 85th and 86th minutes and being sent off. But not even finishing the last eight minutes against a 10 man Empoli was enough for Milan to overcome the Bonera-Muntari factor. Some players did their best to provide an antidote to the poison of these two players. Like Torres, who in his first start for Milan dazzled with some seriously mad skills dribbling around defenders and such, and capping it off with a great headed goal in the 43rd. 2-1 Empoli. I also loved how Torres followed through on attempts and harassed the keeper, never giving up. That's something not enough players do, hope he keeps that up. Menez, who had been doubtful for this match, played quite well, too. And of course Honda, who doesn’t seem to remember how not to score, got the equalizer in the 57th from the top of the box. 2-2 all. But perhaps most surprisingly was that it was Abate who assisted both goals. That’s right, that gives him four assists in three games. He’s certainly making up for lost time under his good buddy Inzaghi. Everyone’s favorite Milan interview this season, van Ginkel, did not get a lot of pity from Milan fans in the 31st when he was stretchered off with an ankle injury. Although I honestly hope he’s okay, because we only had four midfielders to call up for this match, and losing him takes us down to three, including Muntari. Of course, Bonaventura, who took his place, is also technically a midfielder, even if Inzaghi prefers him to play in attack. Meanwhile De Jong seemed to be the only one who was pissed off that it was ex-Milan youth Verdi who was troubling us so much, he made sure that Verdi will feel his wrath tomorrow with a few well-placed fouls. And Pazzini was subbed on in the 81st for Torres, but it wasn’t enough time for him to do anything about that scoreline. Basically, the team seemed to unravel a bit after the early goals, but it wasn’t for not trying. Like a puppy dog chasing its tail, it was quite frustrating to watch at times. And then there were some beautiful moments that led you to believe that they just might pull it off. But Empoli had the power of Bonera and Muntari working for them, even if they only had Muntari for 45 minutes. And in the end, once again, that’s what did us in. This might have been a pretty clear cut victory for Milan otherwise, with the talent shown by players like Torres, Menez, Honda, De Jong, Zapata, and Abate. But not even they could overcome their two worst enemies… their own teammates. So while Milan fans got another dose of reality, only one point, and are increasingly unwilling to be spectators anymore due to two of Milan’s finest, Muntari continued to lose the ball and take out opponents like no one else, and Bonera continued to watch the ball go into the net of his co-vice-captain. Someone should really tell him that as a player, football is not meant to be a spectator sport.